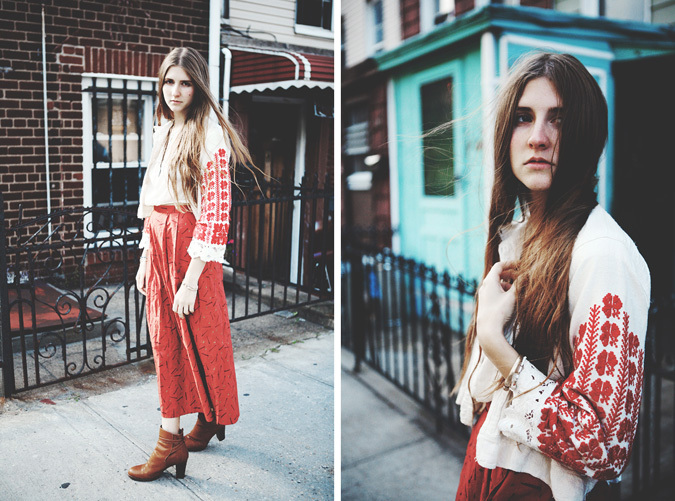 She definitely exudes Brooklyn bohemia // I love that second to last one of her in that denim jumpsuit! Fabulous style. The second outfit is perfect on her! You remind me so much of that character from Girls! I love the feeling in these photo!